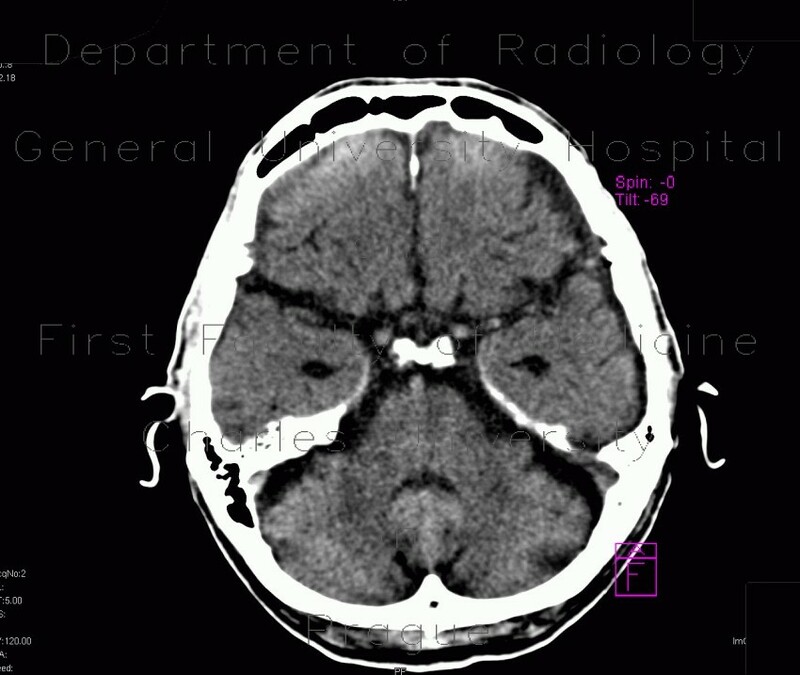 A cluster of air bubbles below the left cerebellar tentorium indicates pneumocephalus caused by fracture of mastoid cells. Both frontal poles contain interlaced hairline densities, which are caused by subarachoidal blood and contusion changes together with beam hardening artifact. There two entities are difficult to discern.